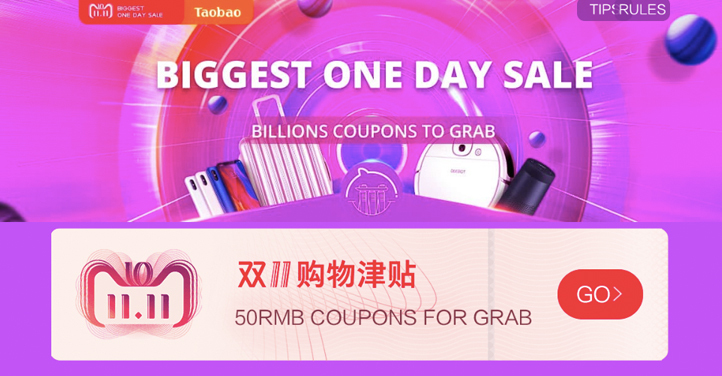 The main 11.11 promo on Taobao/Tmall this year is 20RMB off every 200RMB, 50RMB off every 400RMB and 100RMB off every 1,999RMB spent across various shops. So you will have to consolidate orders across various shops to enjoy the discount and the discount label should automatically appear when you add the item to cart. 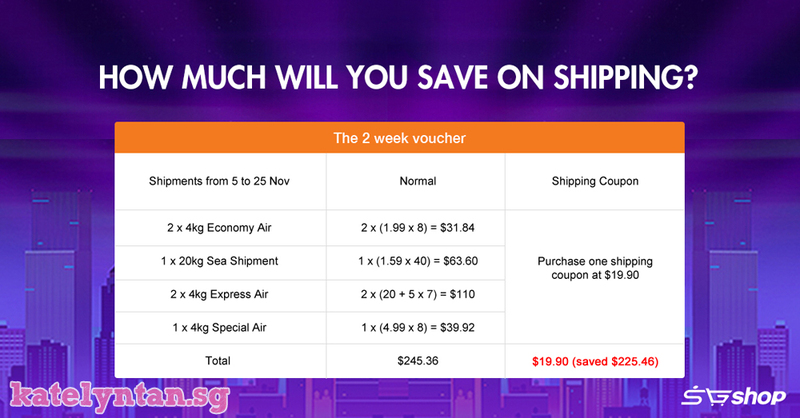 However, you need to have Tmall points in order to exchange for these discount credits. Start adding items into your cart BUT don't cart out yet cause the promos will only be valid on 11.11 at 00:00am. Many shops have their own discount which you can stack with the 11.11 discount, so you compare prices (to see if you are eligible for the 11.11 promos too) and start adding them to your cart so it's easier to cart out on 11.11! It's a must to check the reviews and I always only purchase from those with reviews that have real customer photos so I can see the actual quality and colour of the product! Don't risk it if there are no reviews and especially so if a deal is too good to be true, else you might end up wasting your money on super low-quality products. 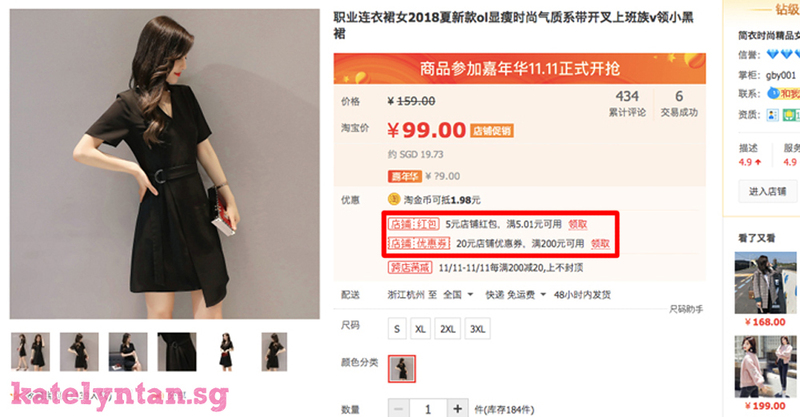 Unable to make a deposit/direct purchase on Taobao? No worries, cause SGshop is here to help with their Buy-For-Me Service! And the best part? 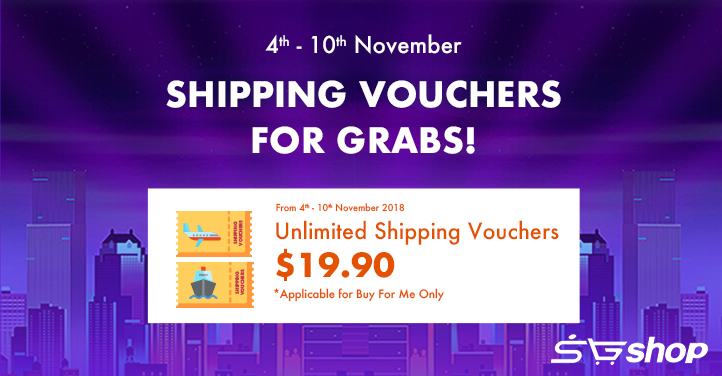 From now till 10 Nov, you can purchase a $19.90 shipping voucher to enjoy free shipping from now till 25 Nov! The free shipping is capped at 3 shipments per day from now till 25 November, up to 4kg of air shipping or unlimited sea shipping per shipment, only for buy-for-me orders. Here's a table to explain how it works. For instance, you have the above 6 shipments and you ship them out between 5 to 25 Nov (max 3 shipments per day). With the voucher, you don't have to pay the shipping cost at all and will actually save $225.46! In the event you have a 6kg economy air shipment, you will only need to top up for the extra 2kg since the cap for air shipping is 4kg. Good deal right? Can't read Chinese characters? 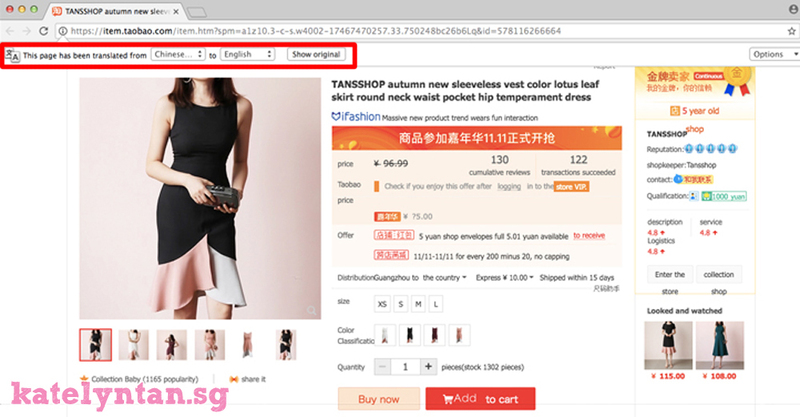 Did you know you can use Google Chrome to auto translate a webpage and use the SGshop Google Chrome add-on to add things into your cart? 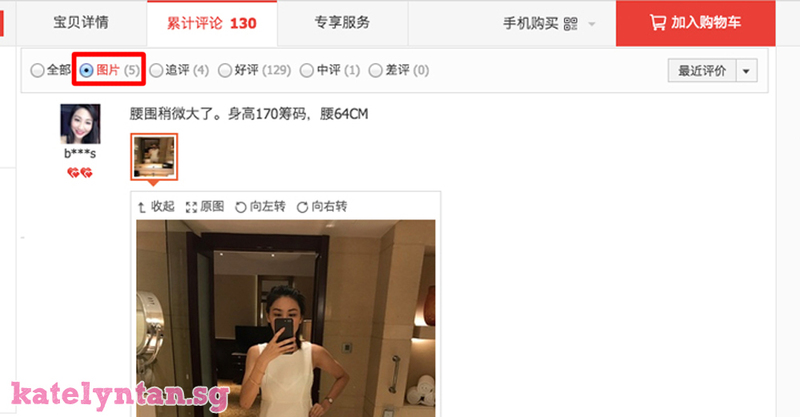 It makes shopping on Taobao so much easier! If only Google could translate the text on the images too hehe. Lots of discounts and promos to avail..Good to shop at this time.